Is maths cool? It’s a question that has plagued philosophers for centuries. For every hip cat like Einstein, there are thousands of math teachers who ruin numbers for everyone. 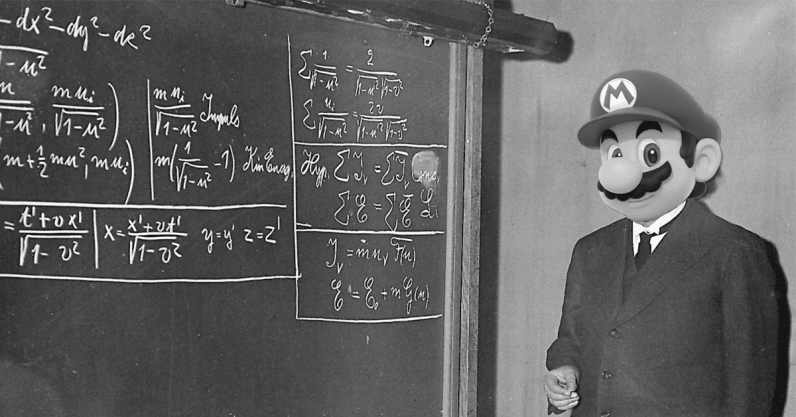 Luckily though, there are some stars out there, such as the person who worked out the maths behind the dice rolls in Nintendo‘s new Switch game, Super Mario Party. If you’re unfamiliar, Super Mario Party is a minigame-driven, uh, party title. In its main mode – which is a lot like a board game – characters roll a die and move across a map to gain stars. And with these stars, comes victory. Users play with a range of classic Nintendo characters, each of them with their own custom die. For example, Luigi’s custom die’s six options are 1, 1, 1, 5, 6, and 7. You can get a glimpse of the game below. Yes, on the surface, Super Mario Party might be a fun way to spend some quality time with friends, but that’s not the case. It’s a competition. Survival of the fittest. Victory is vital and can come by any means necessary. This is why the maths work done by Reddit user Trilerium is so important. They created and uploaded this Google Doc, which breaks down the maths behind each character‘s die. There are a few of points to clarify. First, The numbers that are highlighted in yellow refer to dice rolls that are coin-related. For example, if you play as Bowser, two of your rolls might result in you losing three coins. Secondly, at the bottom of the table is a blank column, this is the basic die – something that all the characters can use. So what have we learnt? Well, it looks like the top characters to use if you want to move around the board are Boo, Bowser, and Wario. Of course, if you’re coin-hunting (which doesn’t make a whole load of sense), then you can also choose Donkey Kong, Goomba or Rosalina. If you want to know what characters to avoid? Hammer Bro and Yoshi look particularly bad. Really then, what’s cooler than beating your friends and family at a video game? Sunsets? Rocket launchers? The Fonz? Doubt it. And if maths can help us gain petty victories over those closest to us, well, maybe it’s cool after all.